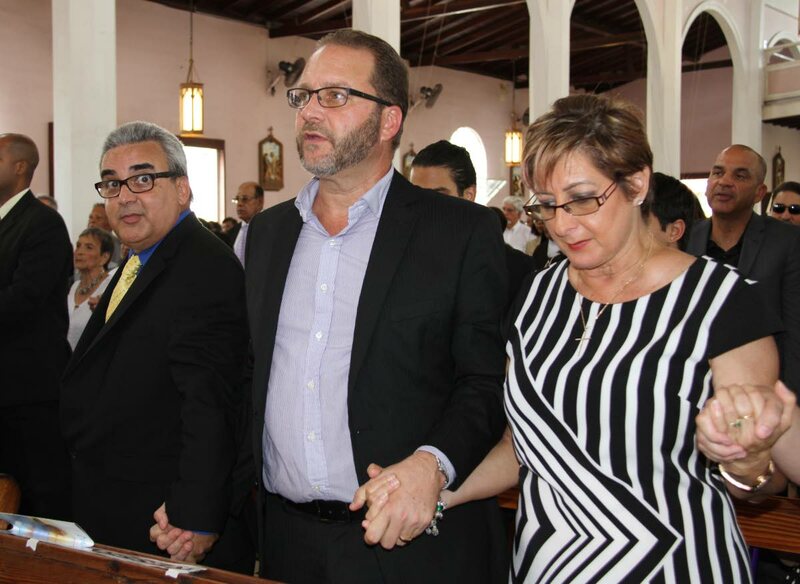 GOODBYE DADDY: (left to right) Bernard , Thomas and Anna Pantin join hands at the funeral for their father, former Fatima principal and Minister of Education, Clive Pantin. Pantin was 84. Bernard Pantin, the son of former Education Minister and Fatima college principal, Clive Pantin, 84, is urging TT’s leaders to emulate his father’s legacy of service before self and make the effort to improve the country for future generations. Pantin made the remarks yesterday as he delivered the eulogy at the St Theresa’s RC Church, Mucurapo Road. He said his father embodied the ideal of service before self and said he carried this philosophy with him throughout his life as an educator, a politician and later on in life as a humanitarian, citing his father’s work in founding the Foundation for the Enhancement and Enrichment of Life (FEEL). 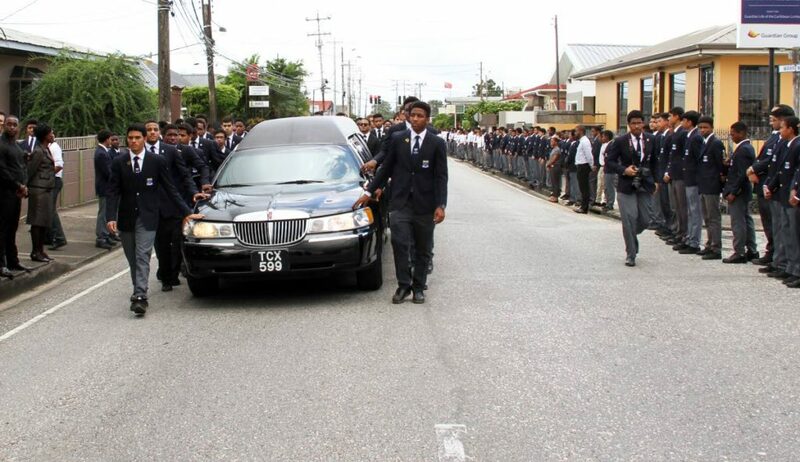 Students of Fatima College line the streets and walk with the hearse carrying the casket of Clive Pantin to the St Theresa RC Church. 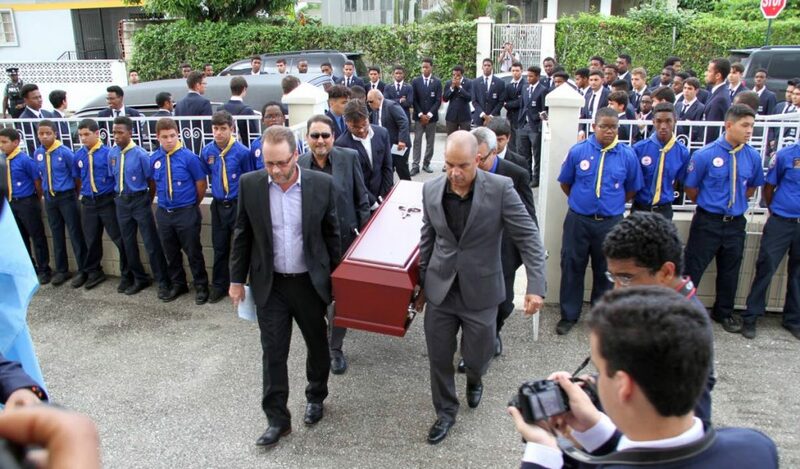 The service began yesterday morning as Pantin’s body was taken by hearse from the Fatima College grounds to the church, as students lined either side of the street in tribute of a man, many affectionately remember as a skilled sportsman, an accomplished educator and a close friend. Reply to "Pantin believed in service before self"